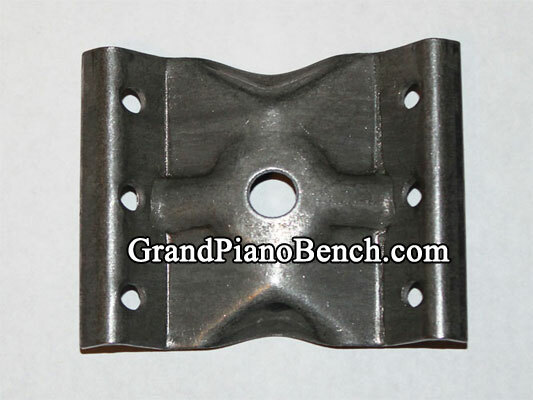 These are the braces that connect the frame of the piano bench together, and allows for the attachment of the bench leg (the bolt coming out of the leg goes through the center hole of this brace). This bracket measures 3-1/8" (W) X 2-1/2" (H). 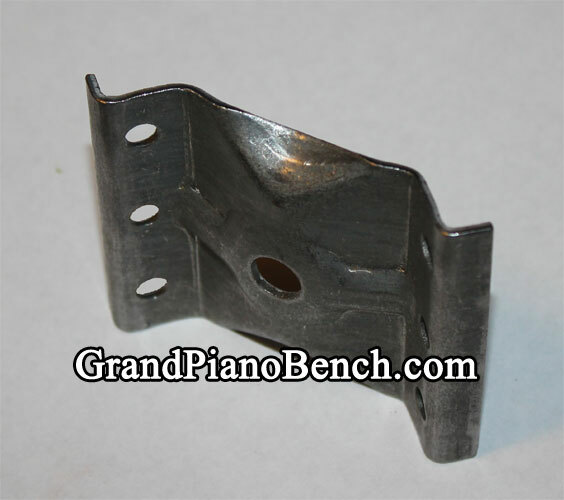 Made of heavy duty steel, each bracket weighs approximately 3 ounces. Price is per individual bracket. Select desired quantity. Shipping for piano accessories is $4.95 to the continental United States (Alaska, Hawaii and Canada, please email for a shipping quote). Select the shipping option at the checkout menu of the shopping cart.